Rent one of our spacious studios for your next event! Both of our studios are available to rent outside our regular class schedule. 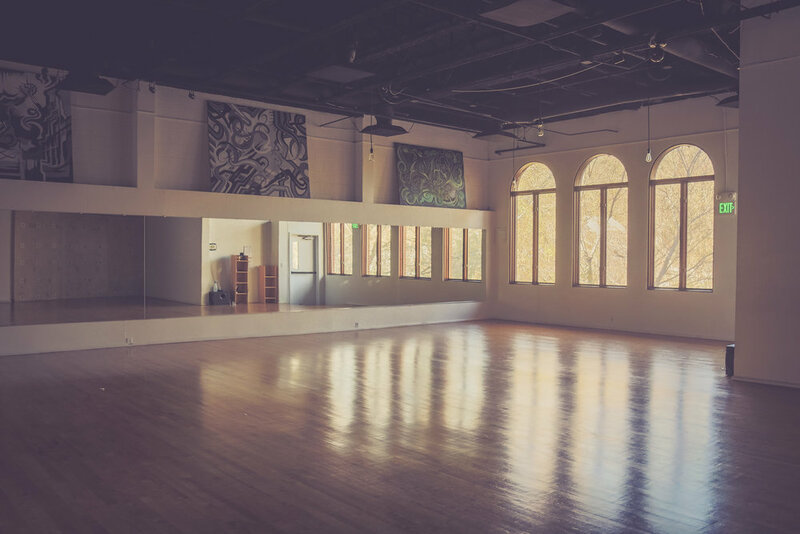 Enjoy bright, lofty spaces with beautiful views, perfect for movement classes, parties, art shows, lectures and other events. We can accommodate up to 65 students (and yoga mats) for a yoga class in our downstairs studio. Light, bright with beautiful views of El Cerro Mountain, our upstairs studio can accommodate 40 students (and yoga mats). Please contact the owner: Stephanie Stackhouse at sstack@outlook.com.